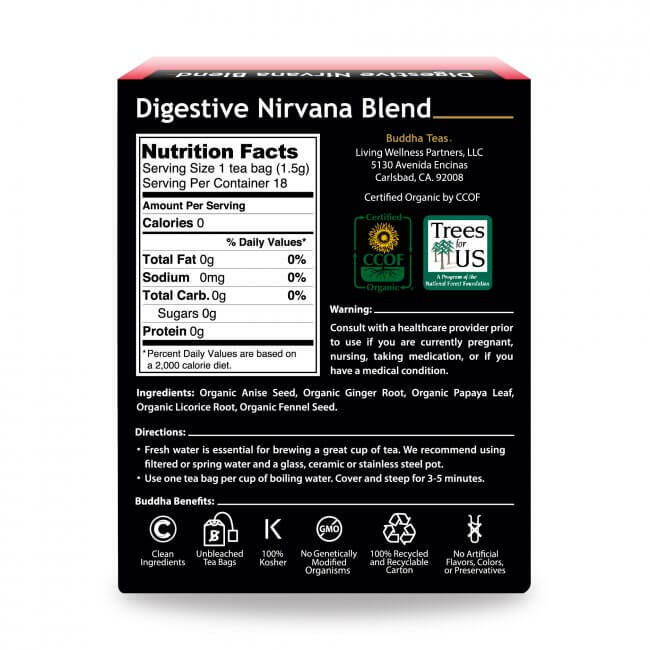 Our Digestive Nirvana Blend is crafted using organic herbs and spices to create a warm, inviting flavor you'll want to drink again, and again. Prepare your taste buds for a flavorful tea adventure with Digestive Nirvana Blend. 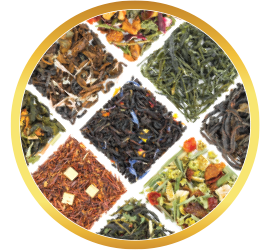 This carefully crafted tea blend features a selection of potent herbs and spices, rich with impressive, nurturing flavor. 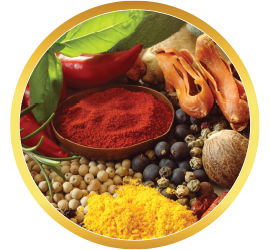 Licorice, fennel seed, and anise seed each bring their unique sweet-yet-smooth quality, carefully balanced by the gentle papaya leaf. 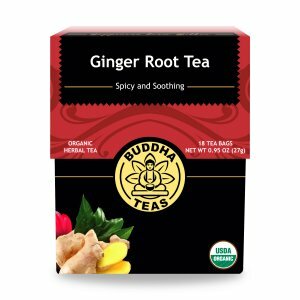 Ginger root adds in its own spicy kick, creating a powerful and invigorating blend that’s perfect any time of day, but especially with or after a meal. 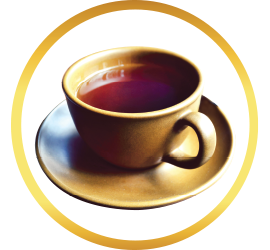 Be good to your tummy, and support your need for pleasure with this wonderful brew. 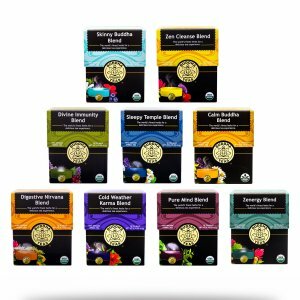 Experience the powerful personality in this stimulating herbal blend. 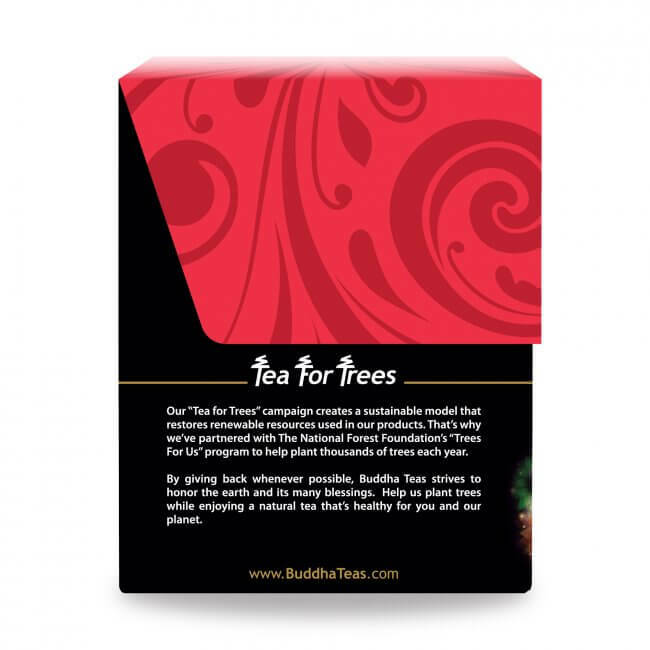 Buddha Teas fashions our blends using the highest quality organic ingredients, packaged in bleach-free tea bags to ensure that you receive all of the benefits and none of the risks of added chemicals. 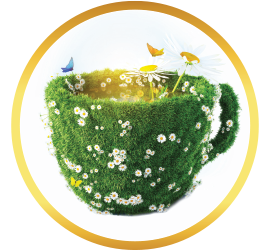 We back our teas with a 100% satisfaction guarantee because we are that confident you will appreciate the quality we provide. Review Title: Soothing and Delicious! 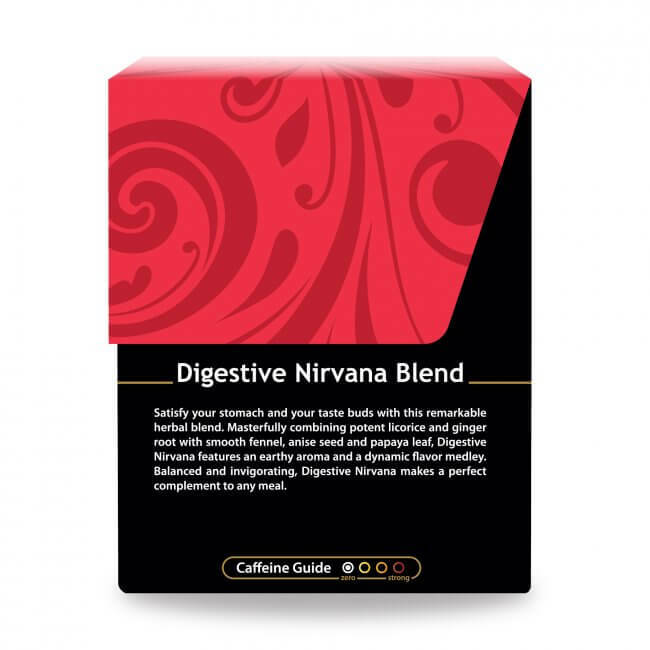 Digestive Nirvana lives up to its name and beyond. I have a cup after lunch every day. 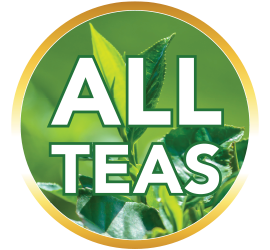 This tea is going on my top ten list. 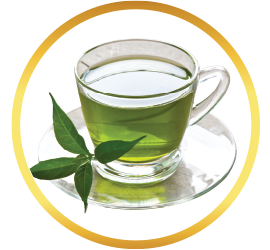 I have it every morning, it calms my stomach, and I enjoy the flavor. I hope to find it loose leaf. 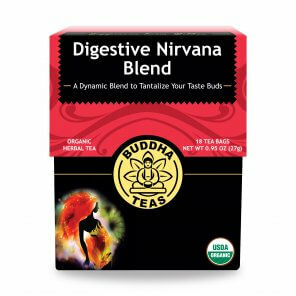 I have IBS and this tea settles things nicely, stomach and all. starts out with a tea on the slightly heavy/bitter side (not ugly like you wouldnt want to drink it) and then towards the end of the sip you taste the licorice and fennel seed. 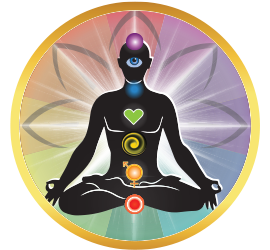 lovely and soothing. it is a great way to end a meal, especially a heavy one. recommend. I'm very happy with this purchase. 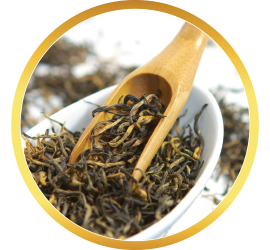 The box is very elegant, great packaging, delicious tea, shipped quickly. Exactly what I was looking for. One of he best digestive tea's I'd had! 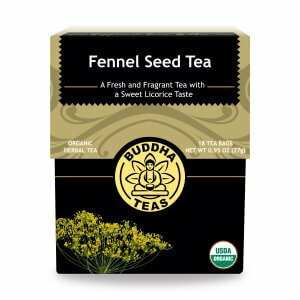 This tea is a great blend and helps with soothing the stomach and helped me tremendously. It taste great and works well. 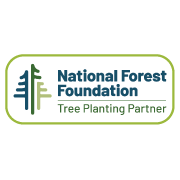 I would recommend - it helped me.